SURIGAO CITY -- The employees of the Philippine Ports Authority (PPA), this city, posted a negative result during a surprise drug test conducted by the PNP Crime Laboratory, said P/Supt Norman Jovita on Saturday during an interview conducted by members of the media. 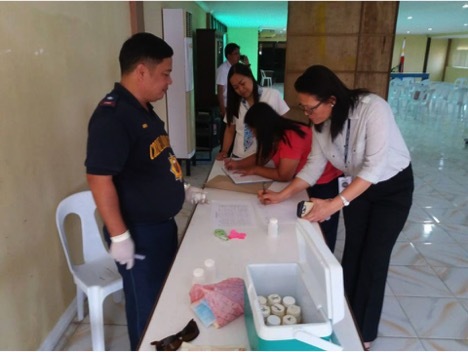 “PPA employees were receptive during the drug tests led by Port Manager Mildred Padilla and PP/Supt Froilan Caturla of the Port Police Division. Per records we have, for the entire Surigao del Norte, PPA-Surigao was the first agency belonging to the category of government owned and controlled corporations (GOCCs) to under the said examination. Probably, they are also the first GOCC to do so in Caraga Region”, P/Supt Jovita said.